This last week, we had the pleasure of chatting with Gregg Schwenk, CEO and Executive Director of the Newport Beach Film Festival in Newport Beach, CA. The Newport Beach Film Festival has been a prominent event in Orange County, CA since 2000, and has continued to rapidly grow over the last 13 years. The 13th Annual Newport Beach Film Festival will run April 26th – May 3rd, 2012. 1.) When was the Newport Beach Film Festival founded, and why? 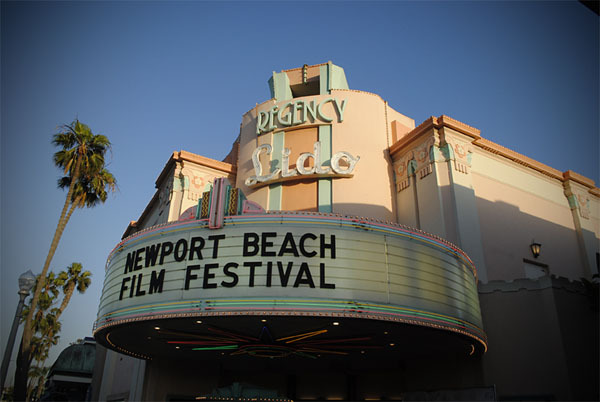 The first Newport Beach Film Festival was held in 2000, and was a modest undertaking of a few screens, one hundred plus films, and a few after events and parties. We have grown exponentially ever since. Today, the festival brings over 52,000 people to celebrate film and artistic expression to Newport Beach. Since its founding, we believe that the Newport Beach Film Festival has two natural strengths. We could think of no more beautiful a location or resort destination than Newport Beach. It truly is the Cannes of California. Our location, a mere fifty minutes from the epicenter of entertainment, makes Newport an easy getaway for celebrities and studio executives. 2.) What is the most difficult aspect of planning the Newport Beach Film Festival? Planning the Newport Beach Film Festival is a logistically complex process. Not only are we working with the normal (if there is such a thing) pressures and issues that any event of this size would include, but we are also dealing with multiple simultaneous events that surround the festival and its core activities. During the Newport Beach Film Festival, we will produce eighteen special events that range in size from ninety people to nearly three thousand. We will coordinate the participation of over sixty restaurants and twenty retailers. 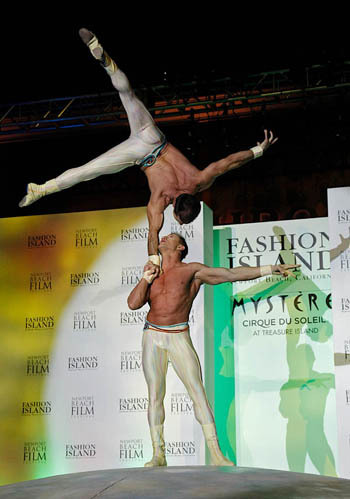 Our event entertainment will span a wide spectrum from DJs, to live bands, to traditional cultural performances, all the way to private performances of Cirque du Soleil. 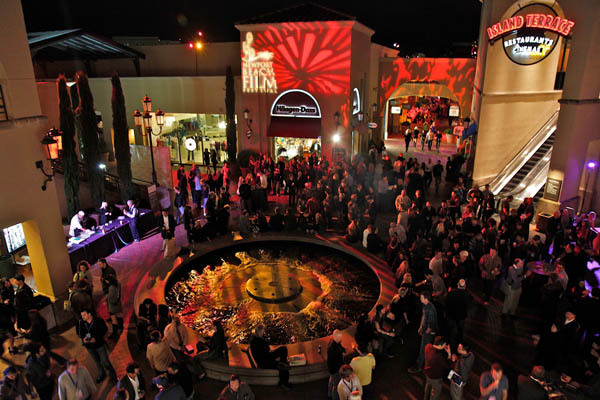 The Newport Beach Film Festival is Orange County’s largest entertainment related event. 3.) How do you pick the films (what is the criteria) for the films featured in the Newport Beach Film Festival? We have a very rigorous submission review process for the films submitted to the festival. Our focus has been, and always will be, on quality. Each official film submission is reviewed a minimum of five times before a final decision is made as to its acceptance or decline. 4.) How did you come to pick the various vendors to show the films at for the Film Festival? What about the restaurants and lodging? When developing a strategy for our vendor partnerships, we begin with a three-step process. First, we look at reputation. We work with some of the top brands and corporations in the world. Our vendors need to understand this and therefore reflect the level of professionalism and expertise we expect. Next, is relationship. Many of our vendors and partners have been with us for over a decade. When seeking additional partners, we rely upon their input, expertise and insight to guide us. Last, but definitely not least, is reliability. We work with vendors who under-promise and over-deliver. Furthermore, we work with vendors who understand our pressures and seek to find solutions that are both actionable and rational. As I mentioned earlier, we have the good fortune to work with nearly sixty major restaurants from the greater Newport Beach area. Again, we have worked with several of these restaurants for many years. Our dinner and a movie program has been highly successful for all parties involved. The restaurants participate in our many gala and spotlight post events to engage our upscale audience and expose them to their culinary selections. On the hospitality side, we work with all of the major hotels in Newport Beach. This includes The Hyatt Newport Beach, The Radisson Hotel Newport Beach, The Island Hotel, The Fairmont Newport Beach, The Balboa Bay Club, and The Marriott Newport Beach Spa and Hotel. The festival has partnered with Visit Newport Beach to coordinate our marketing and outreach to the key feeder markets to the city. We have been very successful at filling our hotels and our restaurants during the run of the festival. 5.) Who have been some of the previous sponsors of the Newport Beach Film Festival? How did you convince them to sponsor the festival? To name a few, our sponsors have included: Absolut, Stella Artois, Variety, Esquire, Sony, Perrier, and Lexus. We always seek to partner with best-in-class brands. Our unique selling point is our access to a luxury oriented audience with a very high disposable income. We work with our sponsors and partners to customize each activation opportunity and to maximize their overall return on investment. 6.) What sort of events has the festival held in the past, and what was it like planning those events? What sort of events do you think you should be a part of every film festival? As mentioned earlier, we have a wide array of events and activities both for our filmmakers and our general audience. The best advice I could give to any film festival would be to listen to your audience. Do not simply do what Newport, Sundance or Tribeca does, but rather, produce the activities and events that will best engage and excite your own attendees. 7.) Which of the Newport Beach Film Festivals (thus far) has been your favorite? Why? Each year brings new opportunities and artists, and I’m always excited to see the amazing array of films that are selected to screen at our festival. I’ve always had a deep felt belief that the current year is my favorite as well as an equally deep fear that the next year will not live up to the previous. Luckily, my team has consistently proved those fears unfounded. 8.) What advice would you give to event planners (who are planning film festivals) on how to handle volunteers? We work with a wide array of volunteers. The festival incorporates over 500 volunteers giving nearly 60,000 hours of their time to the festival and our community. Our event would not be possible if not for the contributions of our volunteers. My recommendation to any event that is volunteer driven, is to respect and reward your volunteers for their commitment and contribution, as well as to never forget to say thank you for all that they do. 9.) Why do you choose to hold the Film Festival towards the end of April/May? The timing of the festival coincides with the start of the summer season in Orange County. We believe this uniquely positions The Newport Beach Film Festival as the official start of the season. Our hotel and hospitality partners have found that the festival is a wonderful marketing tool to keep the Newport Beach destination top of mind to our out of town audience. 10.) 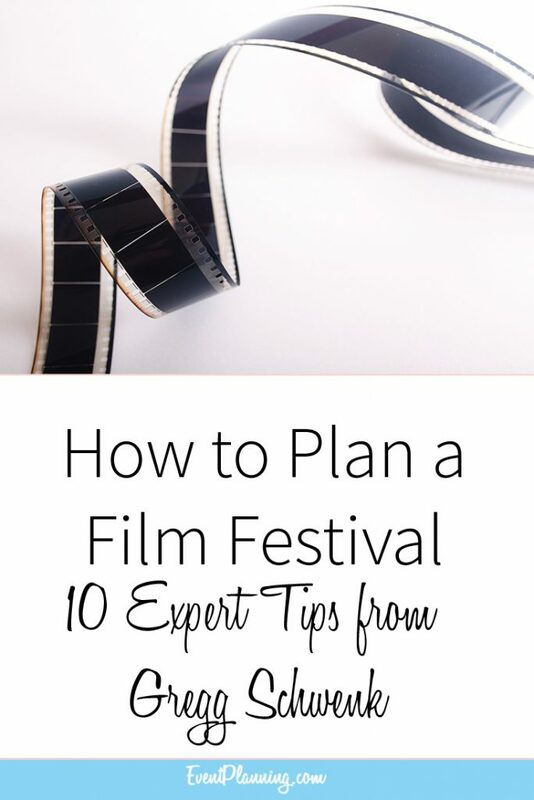 What additional advice would you give event planners who are currently planning film festivals? Be organized, be professional, and understand the nuance complexities that each festival brings. Build strong partnerships and relationships with your vendors and stake holders. Respect your audience and your artists. Most of all, never forget to enjoy the process as much as the audience enjoys your event. Gregg, this has been a very informative interview. Thank you for taking the time to sit down with us and share your valuable experience! Best of luck to you with this year’s film festival.